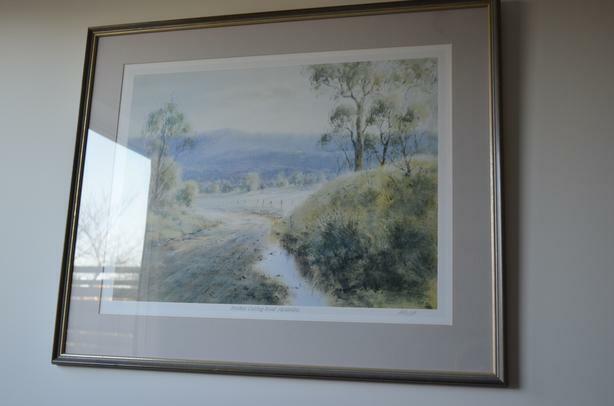 This is a beautiful framed picture by renowned Australian artist, Trembath. See http://www.erntrembath.com.au/ for more information about him. It is called 'Brookes Cutting Road Alexandra' and is #39 of 250 prints. In excellent condition. Originally asking $85 - MUST SELL asap - moving abroad!